Thinking it may be time to bring Kubernetes to your users? Take a closer look at issues that Kubernetes platform operators need to consider before choosing a Kubernetes solution. 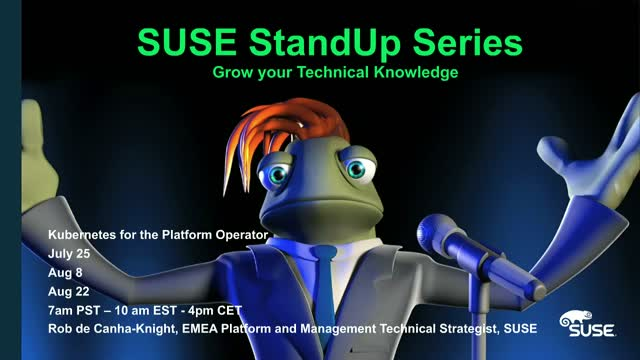 Join Rob de Canha-Knight, SUSE EMEA Platform and Management Technical Strategist, for the next webinar in this series. In this 30 minute webinar, Rob shares insights into questions every prospective Kubernetes operator should be asking when choosing a Kubernetes solution, featuring live demos covering installation and configuration, scaling, and availability.